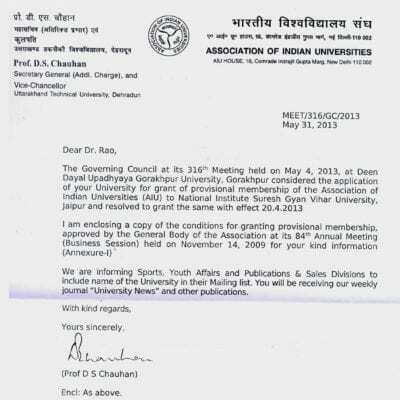 University Grant Commission has released the approval for the establishment of the University and empowered to award degrees as specified by the UGC U/S 22 of UGC Act 1956 through its notification no. 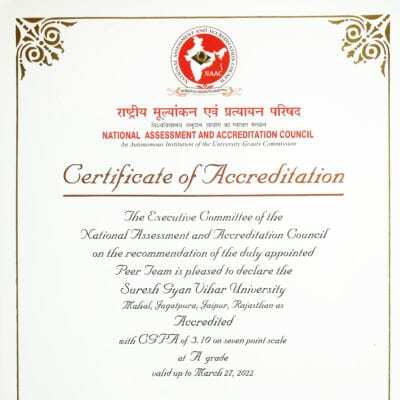 F.9-38/2008(CPP-I) dated 1 April 2009. 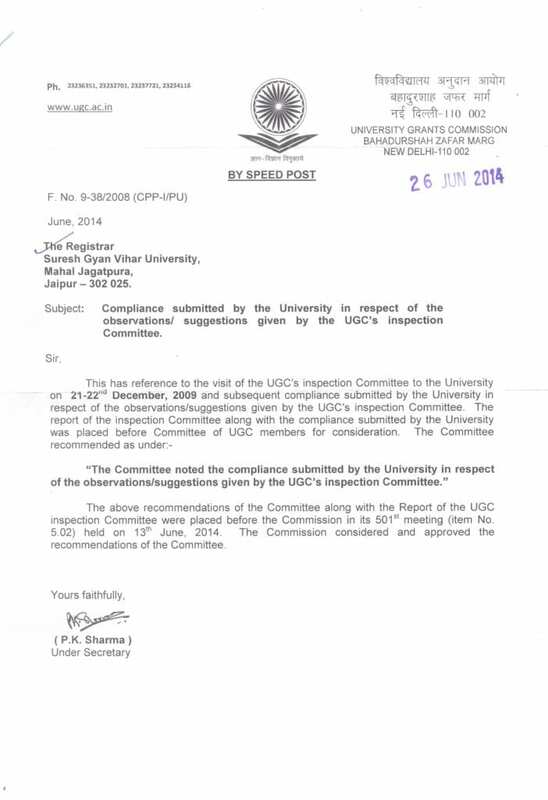 Under the guidelines for private university regulation 2003,UGC has constituted an expert committee to assess the University. 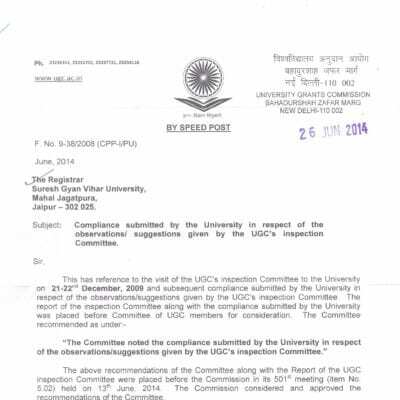 The report of the committee was considered by the commission in its 467th meeting and approve the report of UGC expert committee in respect of the University (F.NO.9-38/2008(CPP-I/PU) dated 17 February 2010. 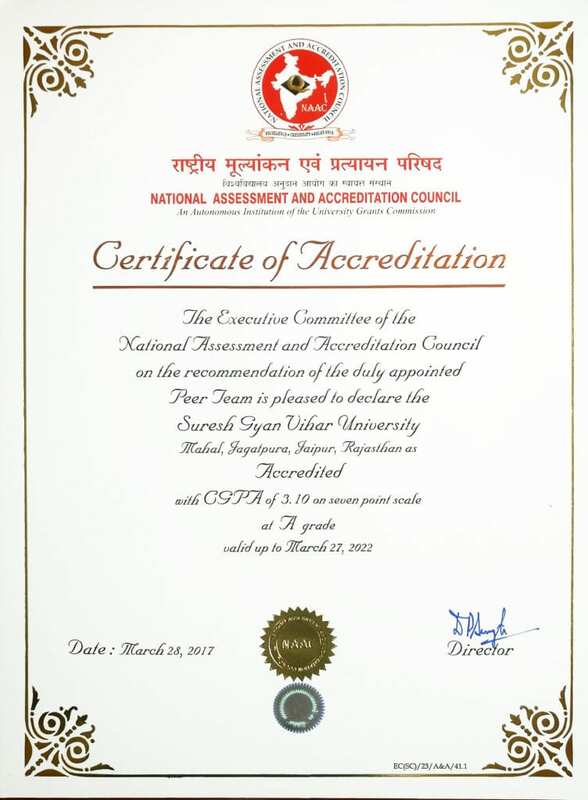 Suresh Gyan Vihar University is incorporated by Government of Rajasthan vide Suresh gyanvihar university jaipur Act 2008 (Act no 16 of 2008) and Established through an extraordinary gazette notification on 21 April 2008. The University is entitled to conduct various courses at UG, PG and Doctoral level in the disciplines described in schedule II of the Act. As per the AICTE notification (advertisement no. 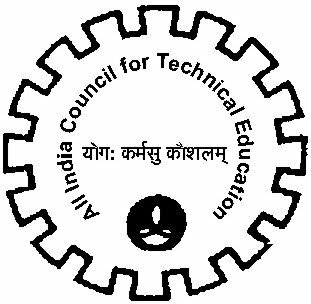 UB/04(03)/2010) Universities do not require prior approval of AICTE to commence a new department or course and program in technical education. 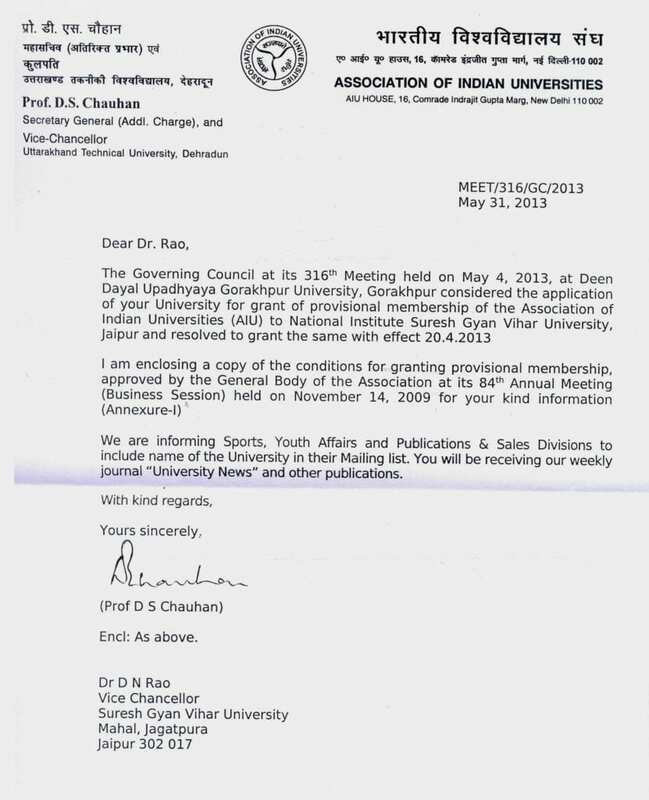 For running, conducting technical courses/programs approval of AICTE is not necessary, However, Universities have obligation to conform to the standards and norms laid down by the AICTE (reference Hon’ble Supreme court of India for the interpretation of the provisions of the AICTE Act in the matter of Bharathidasan University vs. AICTE and others).